This ad appears in various boating and sailing magazines including Small Craft Advisor magazine. "The dangerous, fascinating world of long distance, singlehanded yacht racing is full of remarkable characters and daring feats, making it an especially intriguing setting for a high seas whodunit. Marlin Bree knows this arena well, and his well crafted tale of mystery and adventure makes for gripping reading." If you enjoy sailing and techno-thrillers, Dead on the Wind will keep you glued to your reading chair." 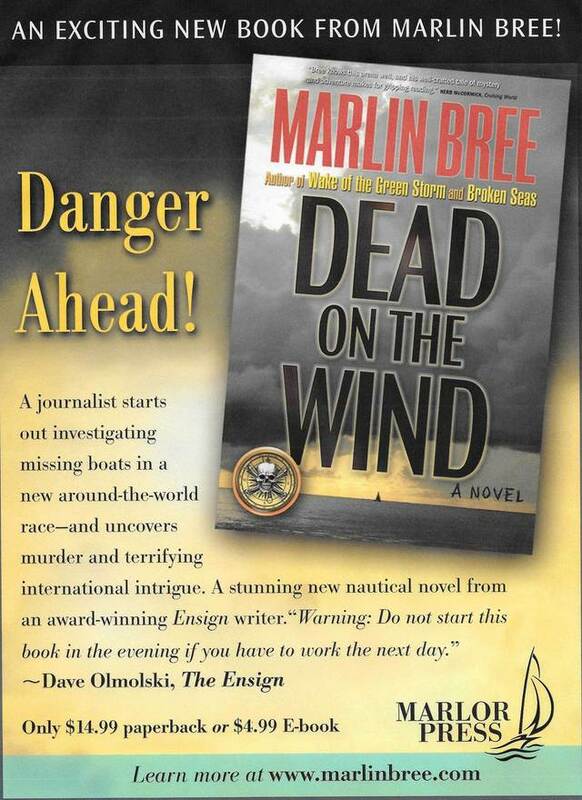 Dead on the Wind: A new novel from award-winning nautical journalist Marlin Bree. 240 pages / 6 x 9 format/ Quality trade paperback, $14.99 retail. 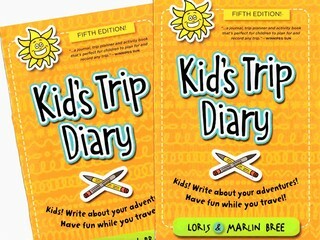 Also available in most popular e-book formats including Kindle and Nook for only $4.99 retail. "One of my favorite cautionary sea stories comes from Marlin Bree's Wake of the Green Storm. Author of five nonfiction books about sailing, Dead on the Wind is his first novel, a thriller set in the world of high-tech yacht racing. The Race Alone Around the World (RAAW), based on the Vendee Globe race, involves boats using the most cutting edge designs, piloted by skilled sailors determined to circumnavigate singlehanded on boats so big that one person can just barely handle them. The boats are made of the most advanced materials, primarily carbon fiber reinforced epoxy plastic. But things begin to go mysteriously wrong. The Australian entry, Marci Whitman, sails her sled out of Sydney Harbour on a shakedown cruise — and does not return. Kevlin Star, her former lover and writer for Megasail magazine, dashes Down Under ostensibly to get the story but actually to assist in the search. There he meets Tremain Whitman, Marci's grandfather and the designer of her boat, and Trudance, Whitman's granddaughter and Marci's sister. Despite the mysterious tragedy, the race preparations continue, and soon the race starts from New York Harbor. This section of the story, describing the racers from different countries and their plans to make the most of the advantages of their disparate boats, is the most interesting part of the book. There is lots of heeled over, lee rail under, wave-smashing sailing here, which does not last nearly long enough. More boats suffer mysterious casualties, other sailors are lost, and Kevlin is kept running from one side of the planet to the other covering the race and uncovering how the boats are being sabotaged and who is behind the plot. Marlin's clipped writing style keeps the story moving right along. Kevlin spends a lot of time waist deep (and more) in the icy cold waters of various oceans as the nicely plotted story keeps him in the middle of the action, until he singlehandedly saves a major harbor and identifies the bad guys. "An excellent read --a unique mystery -- especially interesting to boat lovers, but it is for everyone. Sweet and sentimental, dangerous and scary, vivid descriptions -- and a great ending. You will love it, too!" ---Judy Swanholm. A fun read. Perfect for reading in a hammock on a summer day! (Warning) You won't want to put it down! Author Marlin Bree has been at the crossroads of daredevil sailing and racing for decades, writing about fellow sailors in magazines and in books, including Broken Seas, in which he reconstructs the final hours of the famous around-the-world solo racer, Mike Plant. The former Minnesotan disappeared on the North Atlantic, on his way to begin a new race, the Vendee Globe, in his new state-0f-the-art 60-foot racer, Coyote. Later, when the overturned sloop was found, the lead bulb keel had somehow broken off. No trace of the racer himself was ever found -- forever a mystery of the sea. What happened here? 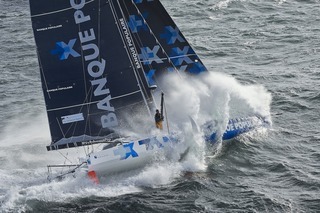 The 60-foot monohull employed in the upcoming Vendee Globe race is the inspiration for the racing boats used in Dead on the Wind.